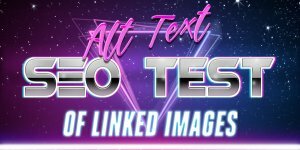 It seems that the searchlink under “Alt Attribute Text Test of Non-Linked Images” gives no results now, yet under “Title Attribute Text Test of Text Links” it does. Did Google change it around? From when was this page? I changed the sites design and didn’t update the SEO tests! I’ve updated the tests now, so give it a few days and they’ll be valid again (unless Google’s changed :-)). BTW there is supposed to be only one listing in the title attribute text search, this page uses that exact text remember. I am still unsure if Google considered the ‘Title’ attribute. And what is the different between the ‘Title’ and ‘alt’ attribute? If I use the ‘Title’ attribute for a link, what do I put in it? I am unsure of the alt text google results. Is Google still counting the alt text as part of the SERPs now in November 2009? I have a question related to PR and anchor text. Lets say I own website dedicated to Corvettes, and a friend linked from his site with an anchor text “Johnathan’s site” or “Johnathan Mayer’s cars”, without Corvettes word. Friend’s website PR that he left my link is really high. My question: does this will give any ranking value for my site? Let’s say that my onpage seo is optimized for Corvettes. Is related anchor text from high PR sites is so critical important? I mean if a link don’t have a word Corvettes that mean I won’t get any seo value by ranking for Corvettes word (even if it’s optimized for)? PR and anchor text are not linked as such, you can have a website or page with no related links with rubbish anchor text do really well in the SERPs because of the sites/page overall PR: basically get a site enough links from any source (avoiding penalties) and it will rank well after the links mature (Google sandbox). 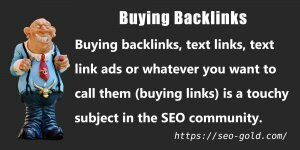 If you got a link from Google’s home page (PR10) you’d get a CRAP load of link benefit, this would flow through your site and boost all your on page SEO. 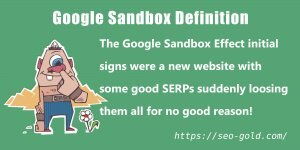 there was an example of a blogger who got a great link from Google and he took loads of SERPs completely unrelated to the anchor text within the link! Add to this that internal links with good anchor text are treated no different to incoming links with good anchor text, if most of your internal links to your Corvettes page used the keyword Corvettes as anchor text they would boost that page for that SERP. Most of my rankings are based on this type of SEO, internal links are so undervalued in the SEO industry. That being said the ideal situation is all your incoming links and internal links have great anchor text, because it does add to the sites overall rankings. You’d get more from a link with good anchor text (you get the link benefit boost AND the anchor text benefit boost) than one with poor anchor text (just get the link benefit boost). The link benefit boost is far more important than the anchor text boost from a link. 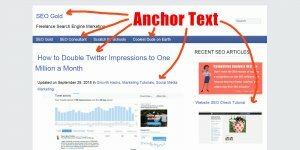 I’d take one link from the home page of Google with anchor text “Click Here” over 1,000 links from PR5 home pages with great anchor text from related sites. Imagine what you could do with all that link benefit from a Google home page link (drool :-)). Really great site thank you. What about using an alt=”” tag on anchor text? Excuse me if this is stupid, still learning. Have to say though I am smarter after reading your articles. I fixed the HTML issues created by your comment, WordPress treats what you posted as link, you have to change the < to the code for that character. I’ve added a quick test to this page, I’ve added unique text into a new alt attribute of a text link (so not associated with an image). The text link is close to the top of the page with anchor text “Search Engine Results Pages (SERPs)”. As long as no one links to this page with the unique text I added to the alt attribute it will remain a valid test (I’ll setup a secret one somewhere as well). Obviously I can’t write the made up word here as it will invalidate the test (view source to see it). Give it a little time for the page to be reindexed (check the cache for the date) and if that made up word doesn’t show up as a search result for this page it confirms Google ignores it. If it does count alt text within a text link I’d be very careful using it as Google will treat it as hidden text as it does not show up as a tool tip** on text links. alt is short for ‘alternate text’. It should be used to give a brief description of the image it is attached to. If you have a linked image and the image is just text that reads ‘my homepage’, the alt text should be ‘my homepage’. This attribute is an *accessibility* feature for people who use screen reader software or have images off for whatever reason. This is where the title attribute comes in. 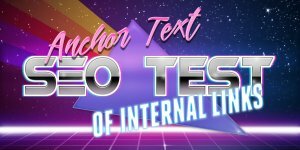 If you have anchor (or image link alt) text which does not clearly indicate what you are linking to, or you wish to elaborate on your actual anchor text, you use a title attribute to expand. I saw a <a href=”…” title=”Watch Madonna’s new video on YouTube”>great new music video</a> on tv today. 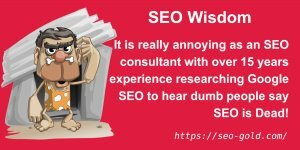 It’s a shame that Google doesn’t index title text, because that is the ideal place for the kind of SEO optimisation you discuss. In the meantime, it would be ok to gently elaborate inside alt text. You do say you shouldn’t stuff alt with keywords, but I think your article needs to stress that this is a functioning attribute that is valuable to lots of web users. It is NOT ok to load it with SEO keywords in the navigation (or *anywhere else*) to the point where the original content of the image is obscured to people who can’t see the actual image. It’s not just Google that reads alt text, it’s people. 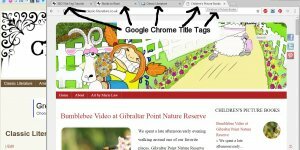 How many characters does Google index in the alt text for images and links? Do we add alt text delimiting phrases with commas?